This double strand bracelet features pretty blue/grey opal, kyanite and white freshwater pearl. Sterling silver links add interest to the overall look, with a cute sterling spiral charm to finish. 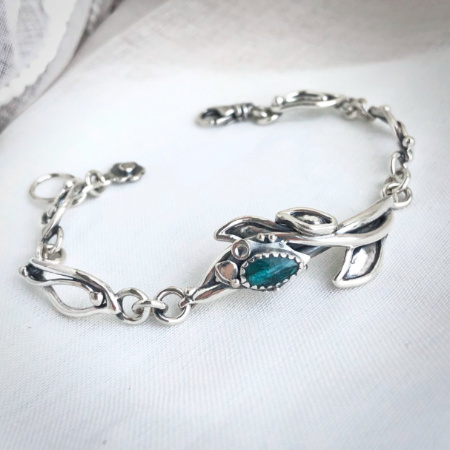 This bracelet measures 8", and will fit an average to large/average sized wrist.